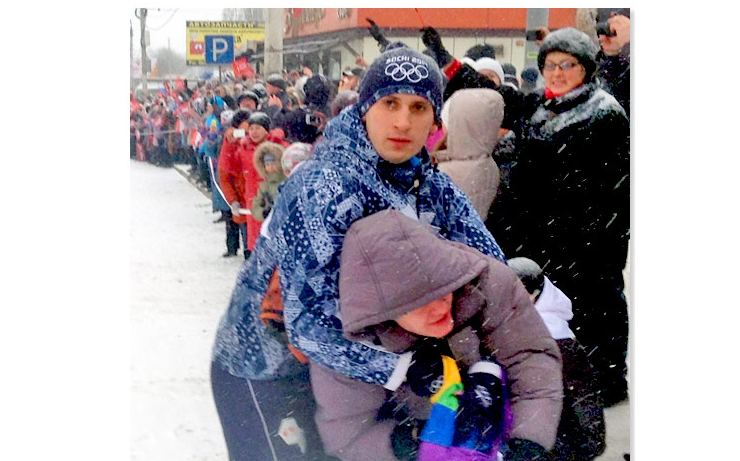 Late last week we reported on young Russian LGBT activist Pavel Lebedev was detained and arrested for holding a rainbow flag during the Olympic Torch Relay. What you may or may not have noticed was that on the official Olympic security guard’s uniform were the Olympic rings and the Coca-Cola logo. Young Pavel Lebedev is a Russian civil rights hero. Coke is so NOT IT. Swedish Vodka and Pepsi please. NOTE: Of course The Coca-Cola Company has received a 100 percent rating from the Human RightsCampaign (HRC) four years in a row for its workplace policies for lesbian, gay, bisexual and transgender (LGBT) associates. Coke is a major sponsor of America LGBT nonprofits including the Human Rights Campaign. Video – Coming to a LGBT Film Festival Near You: "August"
Coca Cola is so fanatical in its homophobia. They shouldn’t even be sponsoring the 2014 Hate Olympics. “end Human bankruptcy”an idea whose time has come. Holding a bottle or can of Coke makes a Difference.Coke is the new Communion for the Soul. Coca Cola refrains from mentioning in their statement that the protestor was carrying a so-called rainbow flag, and that that was the reason he was “prevented from breaching the perimeters of the torch”, were others who were not carrying such a flag were permitted freely to close in on the torch! Coca Cola also refrains from mentioning that the protestor was detained not by police but by Russian security officials, and that he was transported (or perhaps better said kidnapped) out of the city of Voronezh, and was forced to pay a fine. Mr. Lebedev has been kicked by the SFB officers, and is bruised by the treatment of these same officers, and was attended to by medical staff. Coca Cola omits a lot………..